This post is dedicated to the misled folks on a 2012 doomsday forum who are using terms like “suspicious” and “creepy” to describe .. well .. a common fungus. They’re musing that the tornado in Joplin “spawned” it … or maybe it’s a “sign of …” well, I don’t know what. They lost me there. How about instead we just call it a sign of …basic biology? Not something people think much about. On the good side, there are those lovely oyster mushrooms perched atop your salad and the elusive truffle, over which lives and fortunes are lost. On the bad side, there’s that ugly mould that grows in the bathroom or on the last piece of bread. And on the personal side, well, you’ve seen the ads for toenail fungus. Not pretty. But there’s a more ominous side to fungus which many people aren’t aware of – the deadly side. I’m not talking about picking the wrong mushrooms for the family dinner. I’m talking about catching a fungal infection that can kill you. 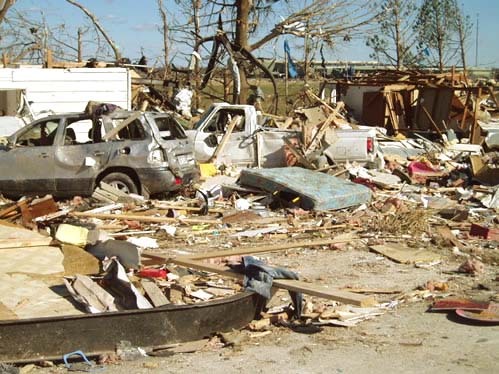 On May 22 a series of huge tornados ravaged the city of Joplin, Missouri. Over 150 people were killed and thousands of homes and businesses were destroyed. Hospital staff have been working around the clock to handling the injured and sick. But now another problem has surfaced: Fungal infections. On June 10, the Missouri Department of Health issued an advisory [pdf] stating that it had received reports of tornado victims suffering from “suspected deep skin fungal infection” in patients injured by the tornado. Later reports stated that three of the victims had died including one woman whose arm had been amputated to stop the infection. According to the Jasper County Coroner, only one of those deaths is considered a direct result of the fungus, but more cases have been reported since. A CDC team arrived on June 16 to investigate the reports. CDC’s Dr. Benjamin Park, identified the infections as mucormycosis. Other reports called it zygomycosis. This point confused me, so I’ll explain it here in simple terms. A mycosis (plural, mycoses) is essentially any fungal infection of the body. Some mycoses are superficial and easily treated, such as ringworm or athletes foot. Systemic mycoses, on the other hand, are more dangerous. These are fungal infections that spread via the bloodstream, can cause lesions in the organs, and may lead to death. Mycoses are named for the fungus that causes the infection. So Zygomycoses are infections caused by any fungus of the Phylum Zygomycota. The term Zygomycosis was used broadly in the past and is still sometimes used to describe the general case of fungal infections, but today the phylum is recognized as being polyphyletic – that is, composed of unrelated species and no common ancestors—so the zygomycota is no longer used in the modern classification system. 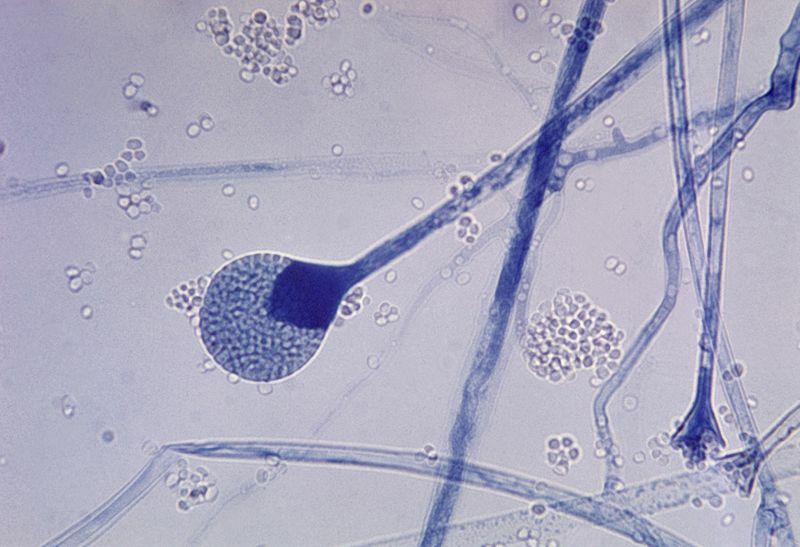 Now fungal infections are more properly referred to by their specific names: phycomycosis (after Phycomycetes); basidiobolomycosis (after Basidiobolus); and mucormycosis (after Mucorales). It is that last group that is relevant here. There are over 3000 species of mucor. The fungus thrives in warm damp areas – on the forest floor, in the soil, on plant surfaces, and decaying food. Most of us are exposed to mucor fungi all the time. Obviously we don’t all succumb to mucormycosis. In fact, the infection itself is rather rare. Why is that? A healthy person’s immune system can effectively keep fungus at bay. There are, in fact, fungi that naturally live in our bodies. These are kept in check by bacteria. Sometimes this balance is thrown off when a person takes antibiotics that kill off the bacteria, allowing the fungus take hold. Yeast infections are a common example of this. Most mucor species cannot survive in the normal body temperature of humans and other warm-blooded animals. 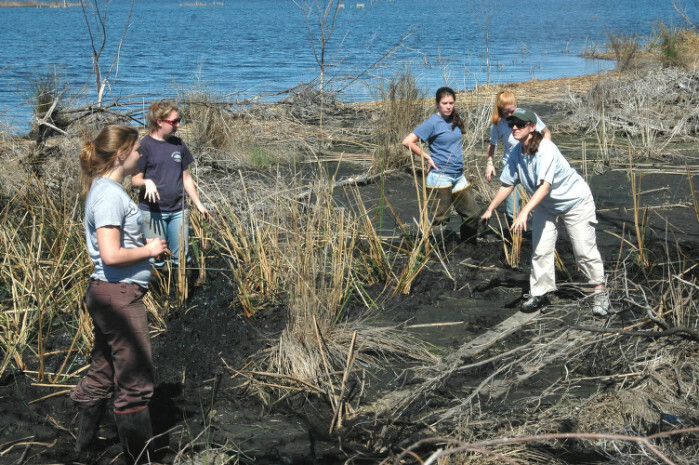 A few species however, can tolerate the heat, and, if given a chance, can cause an infection. These are known as “opportunistic infections” – that is, the fungus has an opportunity to infect someone who would normally be able to fend it off. Opportunistic infections are not that uncommon. 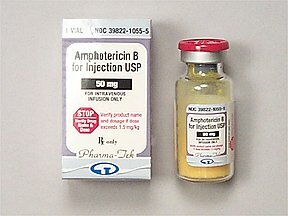 It’s well known, for example, that people with diabetes are at a high risk for systemic mucormycosis infections. A quick search of Pubmed shows thousands of research papers examining causes, cases and treatment of mucormycosis. So while mucormycosis may be relatively rare, it is a well-studied disease. So what about the people of Joplin? Why are they coming down with mucormycosis? 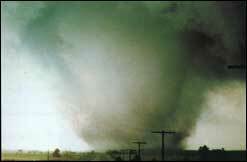 That begins with the tornado itself, churning up ground, inverting homes, and ripping out vegetation. Now the fungus, which is normally sequestered (to a certain extent) under beds of leaves, bales of hay, and in the soil, becomes exposed, spores become airborne, and suddenly it’s everywhere. For healthy people, this still wouldn’t be an issue. But impose this on people who are injured, physically and emotionally stressed, and possibly even coming down with other infections because their immune systems are overloaded –now you’ve got the makings of a perfect storm. It’s not at all surprising that the victims of the Joplin tornados are susceptible to mucormycosis. In fact, increased rates of mucor infections have been seen in other victims of mass trauma, such as survivors of tsunamis, and volcanoes. Interestingly, this trauma-related susceptibility is not confined to humans. After being swept out to sea by Hurricane Katrina and then rescued, Tessie, a captive bottlenosed dolphin came down with a fungal infection that eventually killed her. What does mucor fungus do? Mucor is a rapidly growing fungus, so when it does take hold, it acts fast. It enters the body primarily through the respiratory tract (via inhalation of spores) or through open wounds or burns (via dirt or contaminated water). Once established, the fungus spreads quickly and with a vengeance. Mortality rates can be as high as 50% to 100% depending on the type of infection and the patient’s underlying condition. There are treatments for the fungus – primarily systemic and topical fungicides and, where possible, removal of the infected tissue. But even with treatment, many patients die or become permanently disfigured. In the case of an infected open wound, the fungus can grow faster than doctors can remove it and sometimes amputation of the infected body-part is the only way to contain it. So, the ruminations of the 2012-ers notwithstanding, there is nothing creepy or suspicious about this fungus or the disease. It’s an unfortunate but wholly natural outcome of people with compromised immune systems becoming exposed to a opportunistic pathogen. That’s all. Post script: Just to be clear, this kind of fungal infection is not the same as the legendary “flesh-eating” bacteria, Streptococcus pyogenes. I make this point because another 2012 doomsday blogger headlined that the Joplin mucormycosis outbreak may have been caused by a flesh-eating bacteria-laced weapon of mass destruction. Hey, I just report it. Very informative post. It’s always nice when someone takes the time to be rational instead of assuming the worst.